i could just see you guys chassin the roar with a lexus v8 rumbling in the backround. Is that the remians of 44gal drums that have made into seats for shooters up the front? Whats the ride like up there ? How do you dismount it when you are using the beast for other things ? Actually 60L drums, the 44gal are a bit big. There are a couple of foam cushions that fit inside them too. The whole thing (we call it the 'Apparatus') is held on by 4 HT bolts onto some brackets on the the bumper. 2 people can take it on & off quite easily. The ride is pretty good, we did a front shackle reverse to lift the jeep which combined with the big rubber lets it float over bumps really well. With the reclined seats & footrest bar you can wedge yourself in quite firmly. About time for another Madmax pic I reckon. The old Jeep hasn't had much action over the last couple of years, every time I fixed something on it, something else would crap out, but after resolving a few issues earlier in the year it has been behaving itself & going pretty well. Talk about resurrecting an old thread!!!!!!!! 8 years on and it is alive again. Great, both the memory and J20. 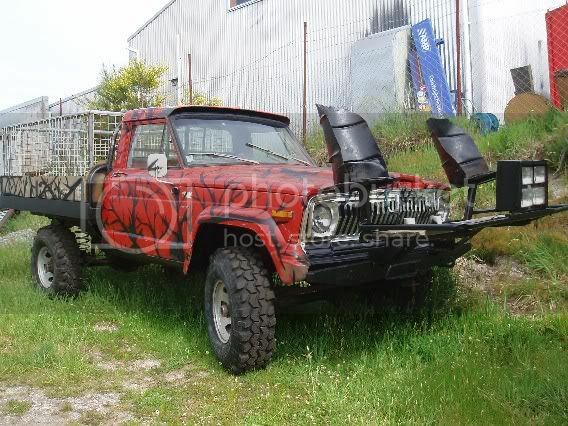 I love the look of the old J20 and Cherokee, A J20 that has been rolling about between a few family mates is getting a new lease on life at the moment. Good to see yours is earning its keep. 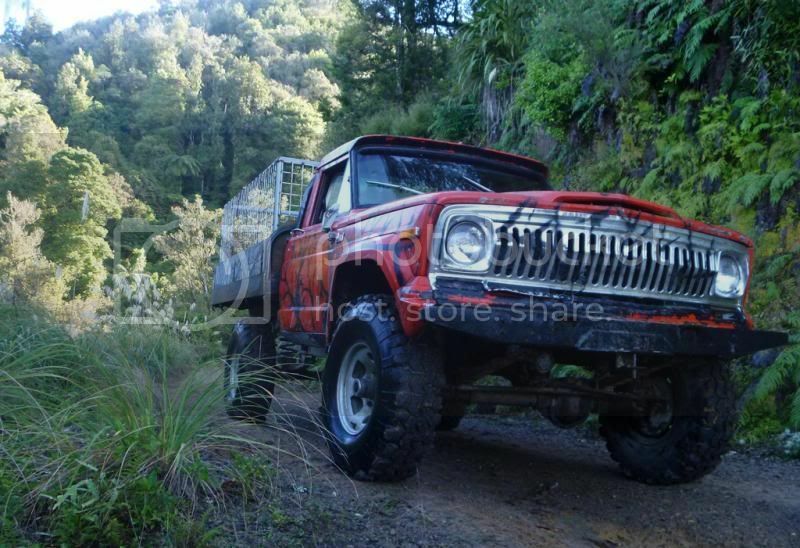 Smurf wrote: I love the look of the old J20 and Cherokee, A J20 that has been rolling about between a few family mates is getting a new lease on life at the moment. Good to see yours is earning its keep. That looks interesting, more pics & details please! What's the powerplant? One thing to watch on the J20 is the front axle - if it's a Dana 44 like our one they are really a bit weak for the size of the truck. 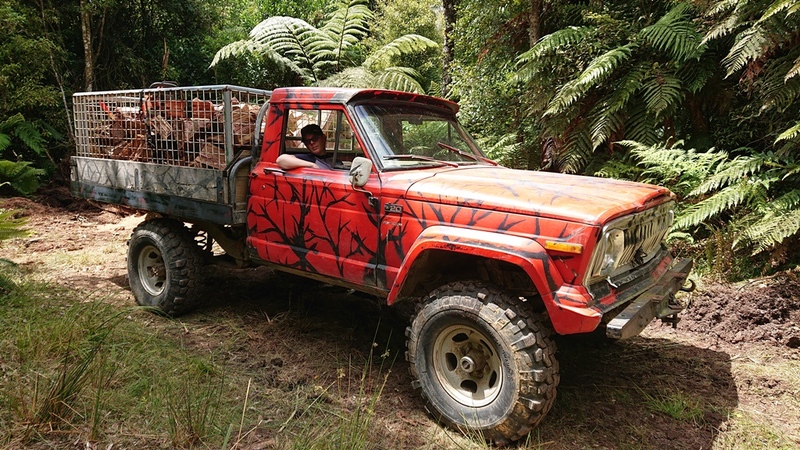 We grenaded a couple of CV's & a diff before realizing that we just had to drive it a bit more gently. Mate put it up for sale but change his mind. Has an injected falcon 6 cylinder in it. Falcon dash too from memory. 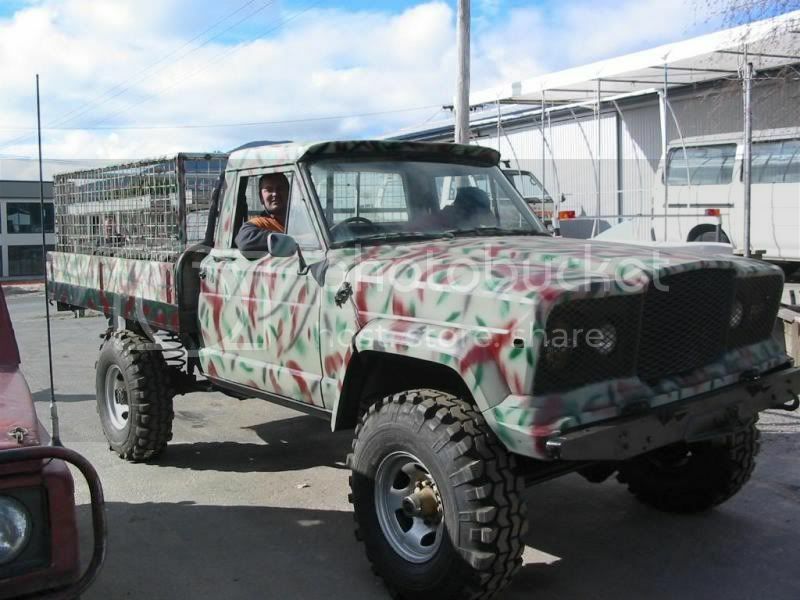 Guy that started building it up bought it from my father in Law as a standard Ute with a flat deck. He had plans of road legal leaf sprung crawler type thing, lost interest after moving towns and sold it on to another mate/family member middle of last year, A few months tinkering to get it running but will just be a trailer queen now.